This month the Scraptastic Club kits that I chose are the Counting Stars Kit, Add On Kit, Stamp Set and the Digital Files. And as much as I love all the goodies in the kit, it's the Digi Cut File that I had the most fun with this time. I always like to print the labels that match the kit and I have to hand cut them because I don't have a silhouette, but I can use my cricut and old Sure Cuts Alot software to cut out the super cool cut files each month. So here is my first layout. 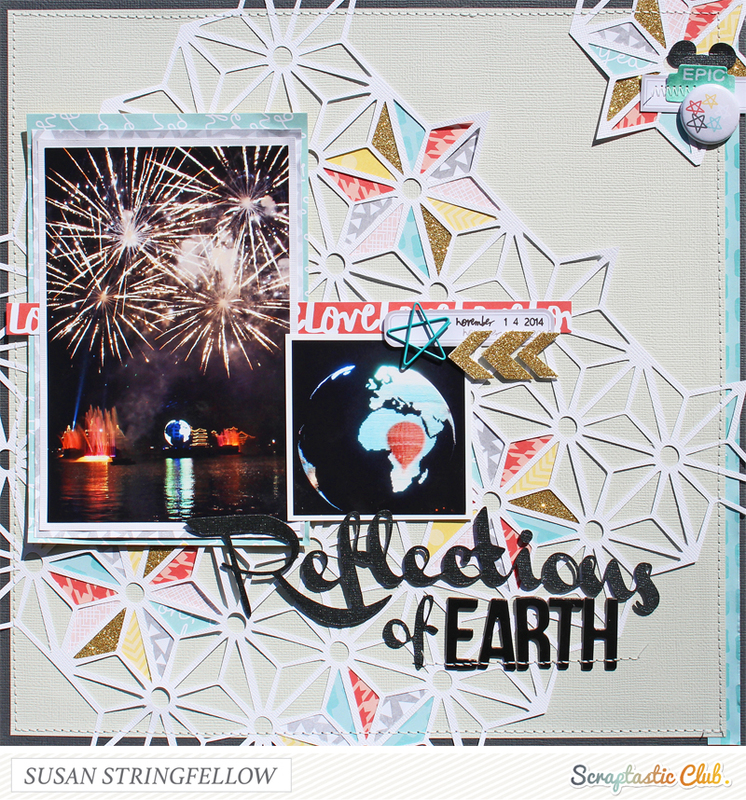 If you have ever tried to scrapbook photos of night time parades, shows, or fireworks you know its not fun. I have hundreds of photos over multiple trips that have never been scrapped. I really love the way this worked for night photos and for EPCOT because of the cut file so I am thinking this is a great way to approach other night photos. First let me say that you can not cut all the way out to the edge of a 12x12 piece of paper with any cutting software so I cut this as large as I could and then turned it on angle to overlap the edges and cut off the excess so I was able to use one of the cut off bits in the upper right corner. I love the negative space but I wanted to add papers to some of the "star" shapes. I love the glittered stickers in the kit so I cut some of the banner shapes to fit in my star as well. I cut my title from scraps of bling cardstock in my stash. 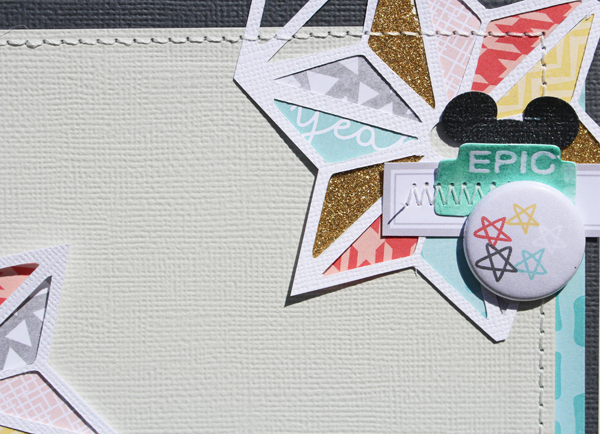 The little Epic tag is a resist die cut from the kit and the exclusive Scraptastic flair was exactly the right little accent for this corner. I hope you guys will try a cut file like this because even though it took some time, its just really fun and I love the way it worked with my photos. FABULOUS! Love that cut file! What a great file for the pics!! Love your page! 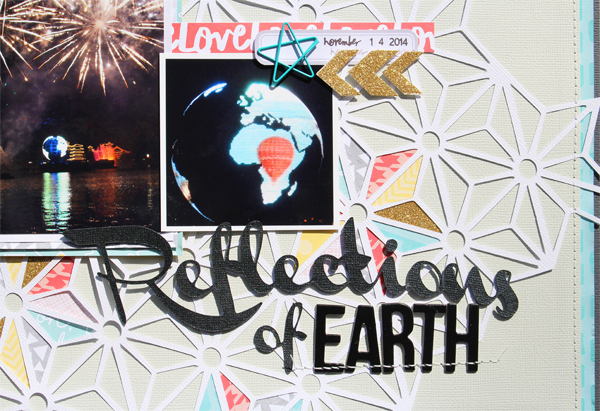 March Scraptastic Club Sneak Peeks!